Without the CNC programmer, any modern plastic mold making operation grinds to a complete stop-quickly! Just consider for a moment just how many machines use the CNC programmer. The CNC programmer might work on programming a 5-axis CNC milling machine, WEDM machine, CNC EDM sinker, laser cutting machine, CNC lathe, and more. He also might be responsible for the programming of electrodes for the EDM machine, among other things. A CNC programmer needs to understand nearly every aspect of plastic mold making to be truly efficient. In fact, most CNC programmers have extensive practical experience in the shop. Many apprentices who show an inclination for programming end up as a CNC programmer. 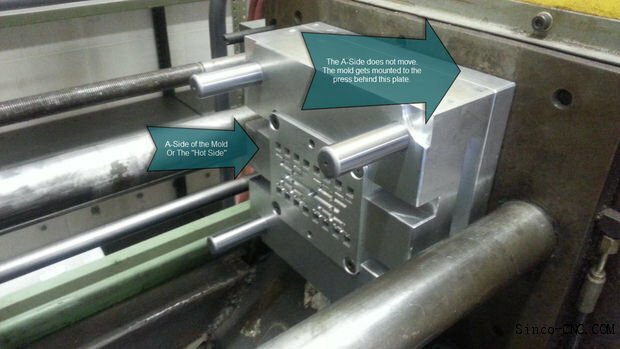 Generally, most CNC programmer jobs pay similarly to that of a plastic mold maker. This is true unless the CNC programmer lacks the hands on practical experience from working in the shop. A technical school graduate will find it easier to get the job, but the pay may be less to begin with than that of an apprentice mold maker who becomes a CNC programmer. How do you become a CNC programmer? The other route is to take a course designed specifically to learn the skills required to get one of the CNC programmer jobs you are hoping to win. Some technical colleges offer courses; as well as community colleges and universities. This path can land you a job more quickly because you already are partially trained and can begin producing for the company quickly. What is a typical day like for a CNC programmer?